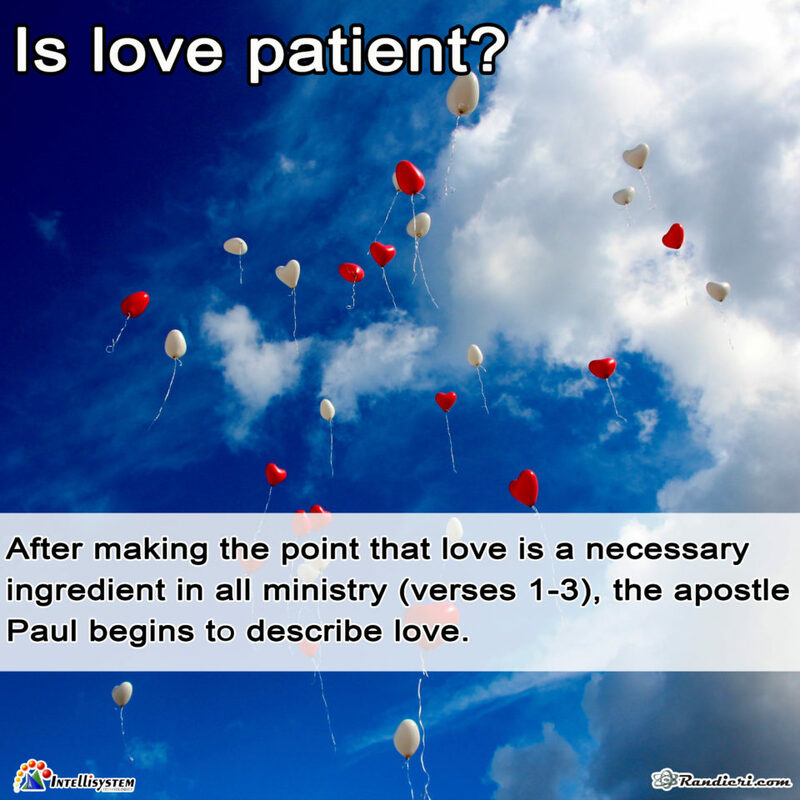 After making the point that love is a necessary ingredient in all ministry (verses 1-3), the apostle Paul begins to describe love. “Patient” is at the top of the list—“long” patience or “endurance,” according to some other translations. Godly love and a patient spirit go hand in hand.